True fact: ” blood, sweat and tears ” was a phrase coined by a meh-hee-can lady in her kitchen. Sweat: cooking for the gauchos will make you sweat. They work hard and they’re mighty hungry. Tears: chopping onions brings tears to your eyes no matter what technique you use. Blood: with teary eyes, sometimes one can get a wee bit too confident with the super sharp, onion chopping knife. But when you are cooking leftover pork roast that came out quite juicy what with all the fat and slow cooking, a tear shed makes you feel like you’ve made a little impact on the world. Pork, avocado, salsa and Mexican zucchini locked and loaded for this evening’s meal. 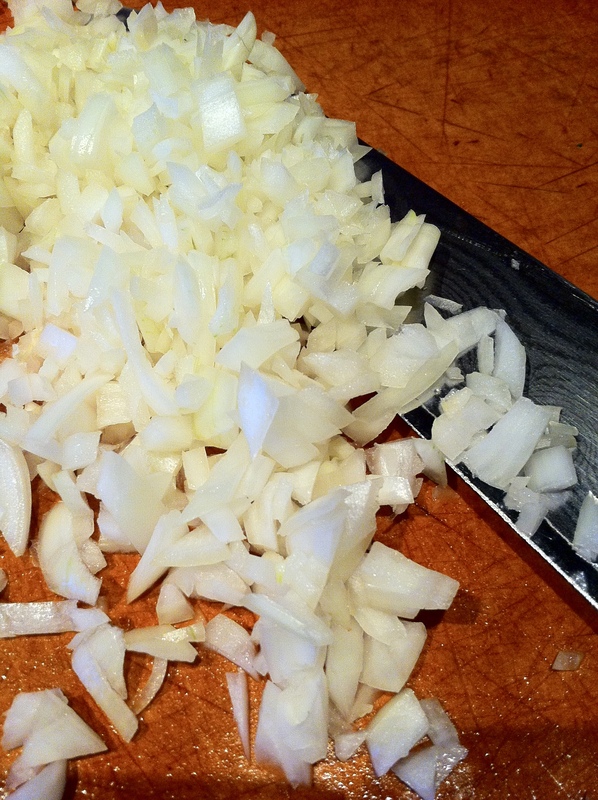 This entry was posted in Veg Head and tagged cooking, food, Onions. Bookmark the permalink.